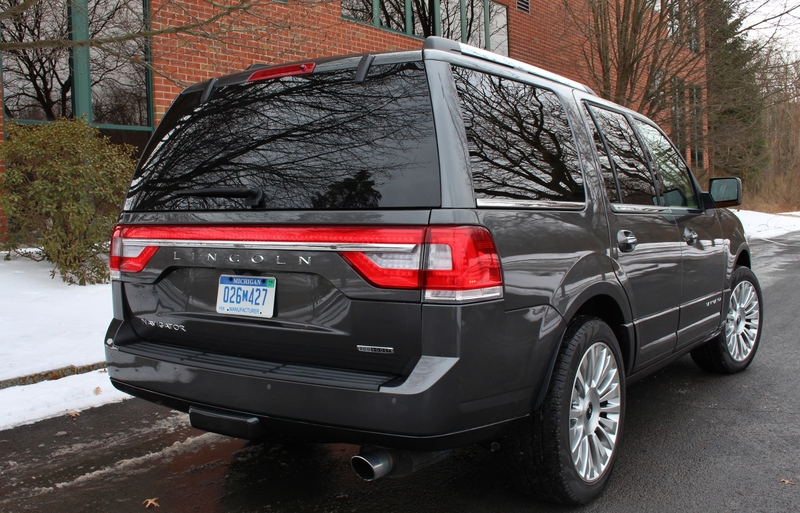 When the all-new 2015 Lincoln Navigator was debuted, I was quietly skeptical. It might have been bookended by some attractive changes but it didn’t appear all that new in the middle. It was the upgrades underneath that sounded most promising. How does this new Navigator stack up from a consumer’s perspective? Does it deliver on its claim of regaining leadership in the full-size luxury SUV market? Press releases touted a more powerful and efficient engine, more exterior appeal, a better interior, and new technologies—all aspects on the checklist nowadays. After a frigid week of driving, a conclusion had been reached. 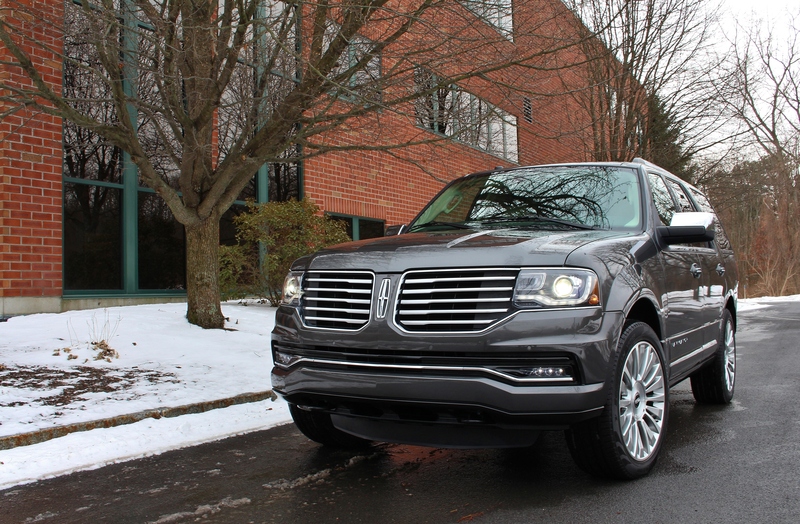 The 2015 Lincoln Navigator strikes a perfect union between big and beautiful. It’s a combination that seems a rarity in modern SUVs. Both aesthetic and functional updates have been made around the exterior. Right off the bat, you notice the newly designed hood, jewel-like daytime running lights, and split-wing grille. Lincoln has created a more regal and distinguished front end. Moving towards the rear of the Navigator, you can see how the updates have continued with more LEDs, for a grand total of 222 around the whole car, and a power liftgate. Our tester came equipped with the Reserve Package which upgrades the standard 20-inch wheels to gargantuan 22-inch bright aluminum wheels and includes slick power-folding running boards. During our week with the Navigator, we sampled every seat in the house. There isn’t a single spot that could be classified as uncomfortable – and that includes the 3rd row seats! Unlike some SUVs, there’s enough legroom for tall adults. That said, storage behind the third row is almost non-existent, so you’ll need the longer Navigator L if you need to stow 7 passengers and their cargo. The aforementioned Reserve Package provides upgrades to interior as well. Upgraded premium leather extends across all three rows of seating, the armrests, center console, and gear shift. The instrument panel is also hand-wrapped in leather with contrast stitching and the entire cabin is accented with Ziricote natural-wood trim. Lincoln has equipped all Navigators with SYNC with MyLincoln Touch. Drivers can use voice-activated or touch screen controls to do almost anything – from making phone calls, playing music, using the navigation system, or even changing the cabin temperature. The touchscreen even worked with gloves, which is always a benefit during the frigid Northeastern winter. While the system is miles ahead of the Enform suite in the Lexus LX570, it still isn’t as impressive as the uConnect system in the Dodge Durango. The engine selection for the all-new Navigator left us a bit skeptical. There’s no way to get around the fact that it’s a large SUV; how could anything besides a hefty V8 move it? Color us impressed—it had plenty of power. The 3.5L twin-turbocharged EcoBoost engine actually provides more power and torque than the last generation Navigator. To be exact, the new Navigator has 380hp and a massive 460lb-ft of torque. Its ride was none too shabby either. 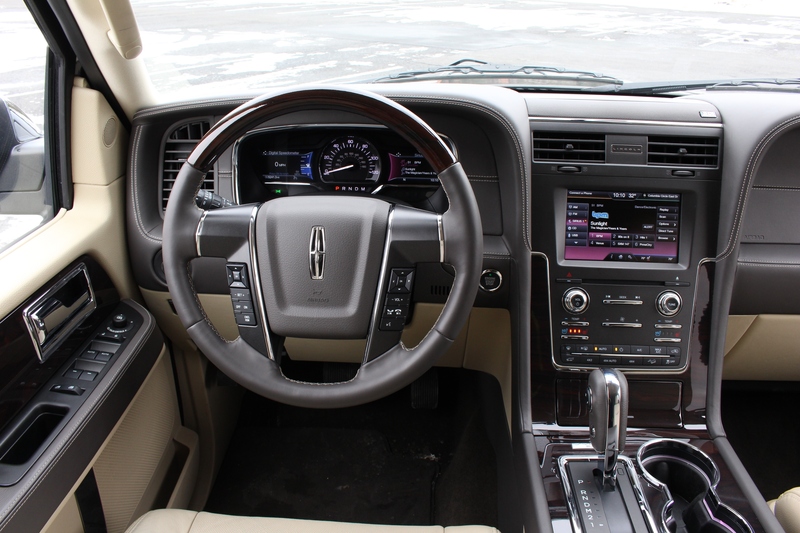 Our tester included the Lincoln Drive Control option which includes Lincoln’s Continuously Controlled Damping (CCD). Beyond the standard auto-leveling air suspension, the continuous damping system monitors a number of sensors and road conditions, adjusting the suspension as need. It also allows the driver to select three different control modes (normal, sport and comfort) to further customize the ride. 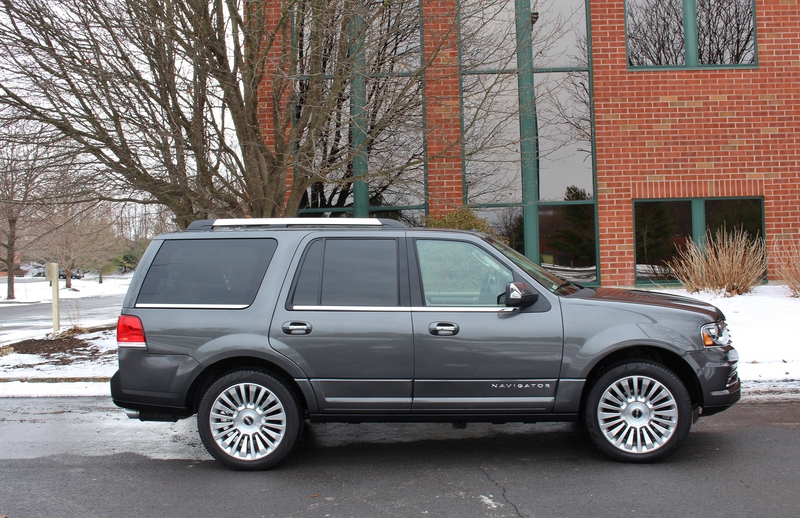 The 2015 Lincoln Navigator is a head turner on the runway. It may be big and have some old bones, but it sure has been well done. 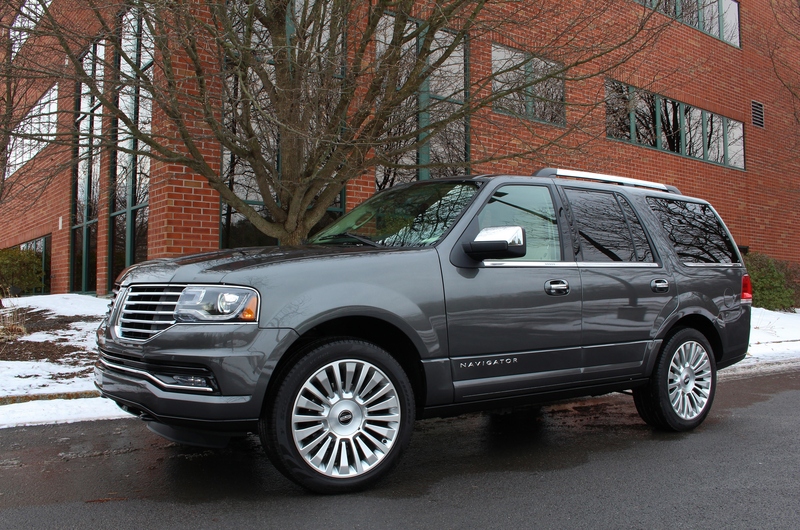 An experience with this new Navigator will leave you with a smile on your face. It’s comfortable, confident, and will get you where you need to go in style. The huge wheels and abundance of LEDs bring the bling. But the unseen changes, the new twin-turbocharged engine and active dampers, transform this automotive dinosaur into a capable and responsive luxury SUV. And since Lincoln’s EcoBoost engine is smaller and lighter than the outgoing V8, the Navigator is more efficient as well. And with that, it had checked all its boxes.